When the air in your home, especially the basement, gets too humid it can lead to problems and unwelcome odors. One way to help the situation is with a dehumidifier that can take that excess moisture out of the air so that you can get it out of the house. The problem with dehumidifiers is that many cost a bundle and it’s hard to know which model will do a good job in your space for the lowest price. Here are some quality models to consider at a few affordable price ranges. For use in a smaller space, a quality unit can be found for less than $100. 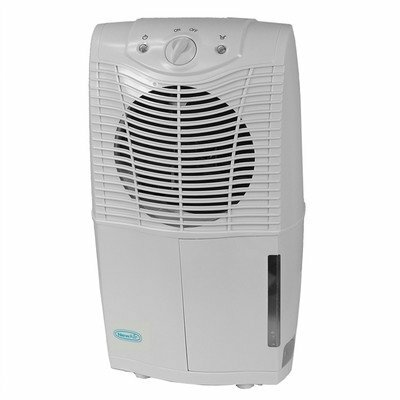 Dehumidifiers in this range would be suitable for a single small room, bathroom, or closet. The benefits of a small device like this is that is will do a great job without making much noise. 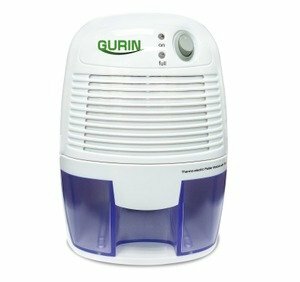 The Gurin Electric Compact Dehumidifier is a small unit that operates at a very low noise level, so it won’t bother you - even at night. It is suitable for a small or even medium-sized room or bathroom and is small enough to fit nearly anywhere. The water reservoir has a nice feature in that it will not overflow, even when you forget to empty it. The unit has an auto-shut off switch that will detect a full water level and turn itself off until you get around to emptying the water. The reservoir holds up to 16 ounces at a time. The petite Eva-Dry EDV1100 is another version of a mini dehumidifier that will work nicely in a small space or single room. This unit will cover an area up to 1,100 cubic feet and, like the Gurin, has a 16-ounce spill-proof reservoir. It also comes complete with a full tank indicator that will let you know when it’s time to empty the tank. As expected from a small dehumidifier, this one is also very quiet. If you need a bit more power for treating a larger area, a humidifier under $200 is going to do a better job in the long run. Unlike the compact models that are best in a bathroom or very small room, these units will treat a standard room or even more. The Soleus Air DP1-30E-03 is an Energy Star rated machine that can remove up to 30 pints of moisture from your home’s air in a 24-hour period. It also has convenient wheels that make it easy to move around if you like. There is an alarm that sounds when the water tank is full, or it can also work with a standard hose for continuous operation running directly to a basement floor drain. The unit includes a digital humidistat and can be set to run for 2 hours, 4 hours, or non-stop with a simple setting. If you are looking for more power than a compact but still want a unit that is small in size, the NewAir AD-250 is a good choice. It can remove up to 25 pints of moisture every day, but comes with a compact size that is less than 1 foot across and under 2 feet high - much smaller than others in this range. An air filter that is fully washable will clean the air as you remove excess moisture, and it can be setup for continuous drainage if you need to use it in a room with consistent moisture. The AD-250 also has an auto-shutoff feature that will kick in when the water reservoir is full. When you need a unit that can handle a large room like a family room or even a larger basement area, you need the added power and moisture-removing ability of larger units in the $200 - $300 price range. With these units you can expect to reduce moisture in a much larger area than the smaller units. Frigidaire is a trusted name in appliances, and the FAD704DWD is a high quality 70-pint workhorse that is Energy Star rated and will work well in a space up to a full 1,400 square feet. With this unit, you can not only turn it on, but set the humidity level to exactly what is desired, and the unit will turn on and off to maintain a consistent moisture level. As expected in a higher-end portable dehumidifier, there is an auto shutoff feature when the tank gets full, and you can attach a hose to use the device nonstop if placed next to a proper drain. Caster wheels make this appliance easy to move around. When it comes to comfort in the home, a dehumidifier can really make a difference. Once you know the square footage that you need to treat, check out these compact, small, or full-sized models and get that humidity down to an appropriate level. Also, if you have any questions, comments or concerns regarding either the overview of the best dehumidifiers under 100 dollars, 200 dollars and 300 dollars or about any of the models specifically mentioned above then please do not hesitate to make them in the comments section just below and we will be sure to get back to you as soon as possible.